It depends on many factors including what you need doing, whether you are seeking short-term cosmetic improvements or longer-term solutions to achieve a better overall result, the orthodontic system you are being treated with, your age, how frequently you attend appointments, how compliant you are with wearing elastics, how fast your teeth move (slower with age apparently), and the skill and experience of your dentist or orthodontist. Let’s take a closer look at some of these. If you are only seeking minor cosmetic improvements to your front six teeth, these types of treatments will often be marketed as taking less time than a more comprehensive course of treatment provided by an orthodontist. You will expect to see some quick improvements and treatment times of six to nine months are not uncommon. More comprehensive treatment usually takes around 18 months to two years but again, this can vary person to person depending on what needs doing. Attending all your scheduled appointments and being very compliant with instructions from your orthodontist can also reduce overall treatment time. If you wear your aligners or elastics for 25% less time than recommended, is it fair to assume you may require an additional 25% more time in treatment? Probably, as teeth only move at a certain rate and it is often the cumulative effect of constant light forces that produce the best and fastest results. In my own case, my treatment took 33 months. This was because I was not in a rush to finish and I had agreed with my orthodontist from the outset I was after the best possible result and not looking to finish by any particular date. My teeth were fairly slow to move and sometimes it took many months to see small changes. Was this a result of me missing appointments or not wearing elastics? No, I was very compliant during treatment as I could see no benefit in not fully supporting the treatment I had sought. At the outset of treatment, your dentist or orthodontist will likely give you an indication of treatment time based on their experience of treating people with similar needs. This isn’t an exact science, and you should be prepared to be flexible if you are looking for the best possible results. Your orthodontist is not looking to keep you in treatment any longer than absolutely necessary as this is more costly for them and not of benefit to their patients. 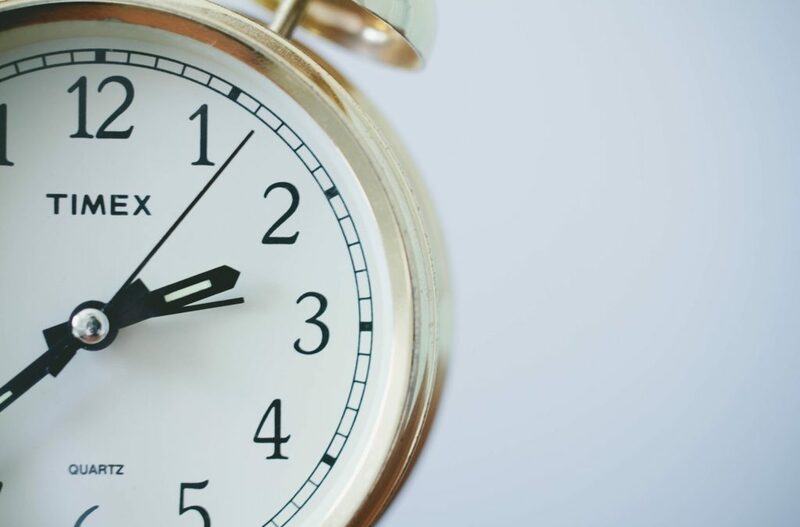 If you are up against a tight deadline, speak to your orthodontist and discuss if treatment is feasible in the time available or whether you will be getting a compromise treatment. Would it be better delaying treatment or setting more achievable outcomes in the time available? If you are seeking a short-term orthodontic solution, think about the long-term results you desire and ask yourself whether, once you start treatment, the need to finish quickly will still be there or if you would prefer a better and more comprehensive overall result. The time to undertake orthodontic treatment will always vary between patients. If you start with an outcome in mind and are prepared to accept it will take as long as it takes, you will find the overall experience more relaxed. This will make for a more rewarding experience for you and the team at the practice.